This cake is not only vegan, but oh so simple to make and can be spruced up for any occasion (it makes a perfect birthday cake) or simply left naked to enjoy as it is. 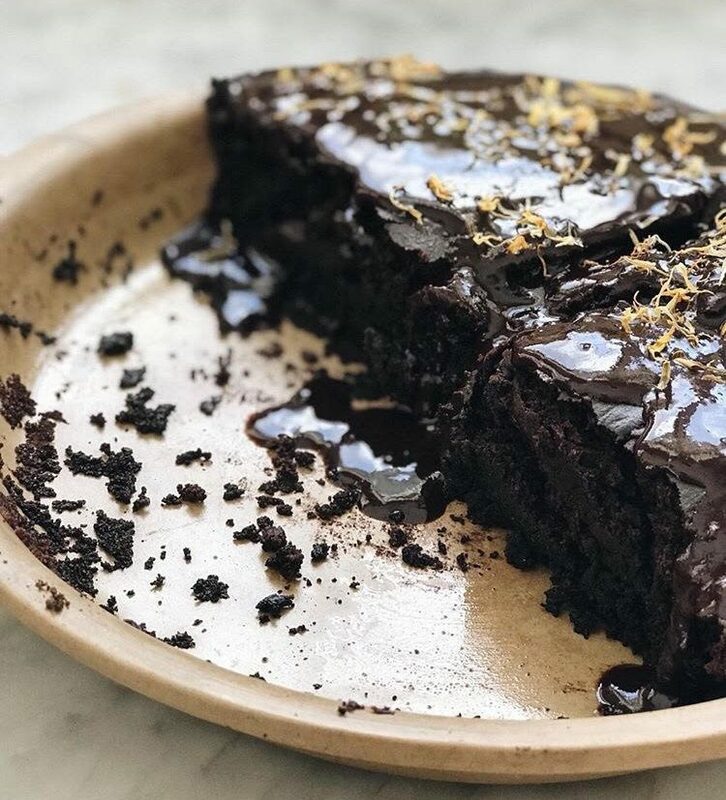 Read on to find out how to make this super delicious cake in your own kitchen (which I wager will take you approximately 4 minutes). Pre heat the oven to 350 degrees. Mix the dry ingredients first, then slowly add in the wet to combine thoroughly. Pour into a lightly oiled tin and bake for 30 minutes or until the centre pulls out clean with a toothpick (NB. Emma here – I baked this cake for 50 mins in my oven – maybe American ovens are hotter!). Enjoy as a naked cake, sprinkle a dash of powdered sugar or honey, or for a frosting, melt 2 tablespoons coconut oil, 5 ounces of chocolate bar, a dash of maple syrup or honey and drizzle on top. 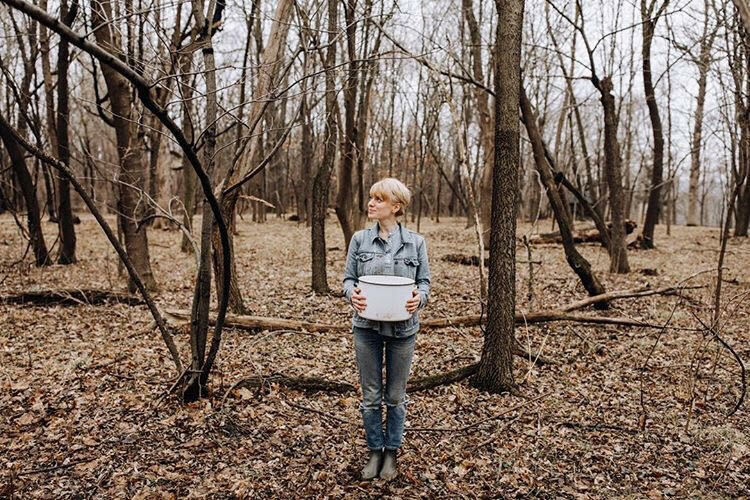 Johnna from Fox Meets Bear lives in an A frame in the woods with her three daughters, husband, two dogs, two cats, ducks and chickens. Thanks so much, Johnna for the most beautiful recipe!